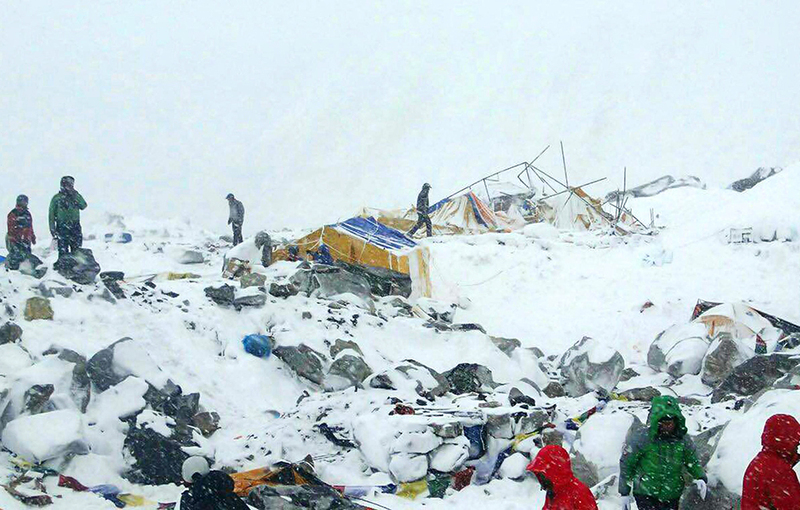 Members of an expedition from Malaysia’s University of Technology survey the damage at Base Camp after earthquake sets off avalanches on Mount Everest. All five members of the Malaysian team survived. 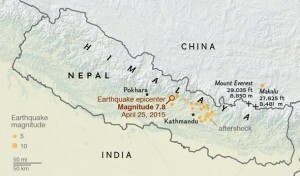 Though the epicenter of the devastating earthquake that struck Nepal earlier today was roughly 150 miles from Mount Everest, powerful shocks wrought destruction throughout the Khumbu region, where climbing season is in full swing with dozens of expeditions deployed among several mountains. Freddie Wilkinson is a writer and climber based in New Hampshire.